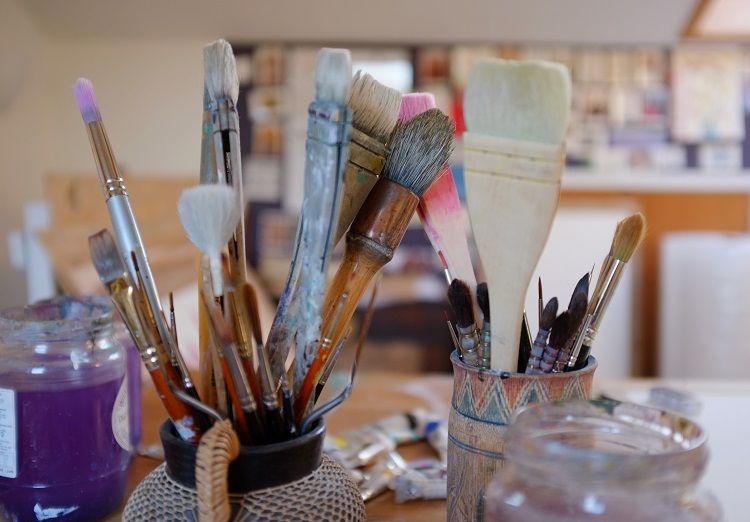 Commissioning a painting from me is easy: you may have a particular flower, colour or size of painting you would like to discuss, a wall space to fill or a special gift in mind. I am happy to work with your ideas whilst still producing a ‘Jenny Matthews’ painting. When I have completed the painting I will e-mail you a high resolution image, or you can view the painting in real life: I will then await your approval. When you are happy with your painting and have approved it, I ask for payment and the painting will be sent to you. Of course if you don’t approve the painting, there is no obligation to purchase. I have been told that the process of commissioning a painting is ‘much less painful than (I) expected’! Briefs for commissions I have previously fulfilled have included garden flower collections, unusual dimensions for a specific wall space and a particular colour theme, to name a few. 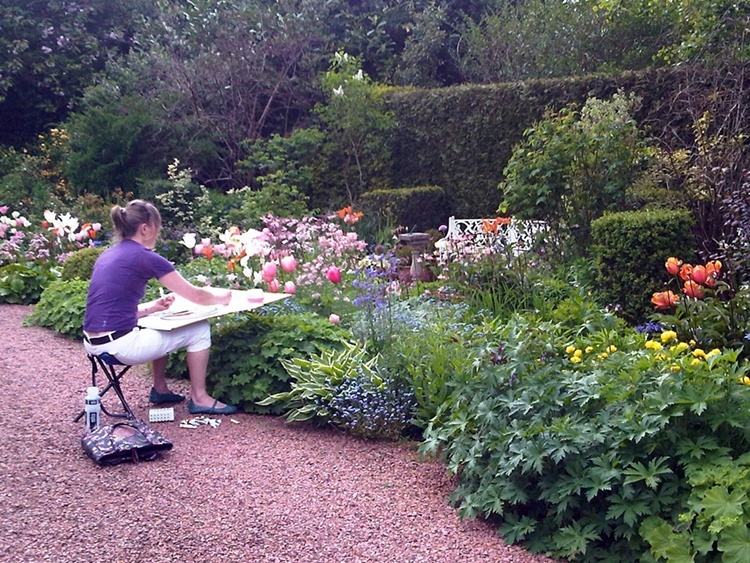 Jenny working in Ann’s garden in Edinburgh.